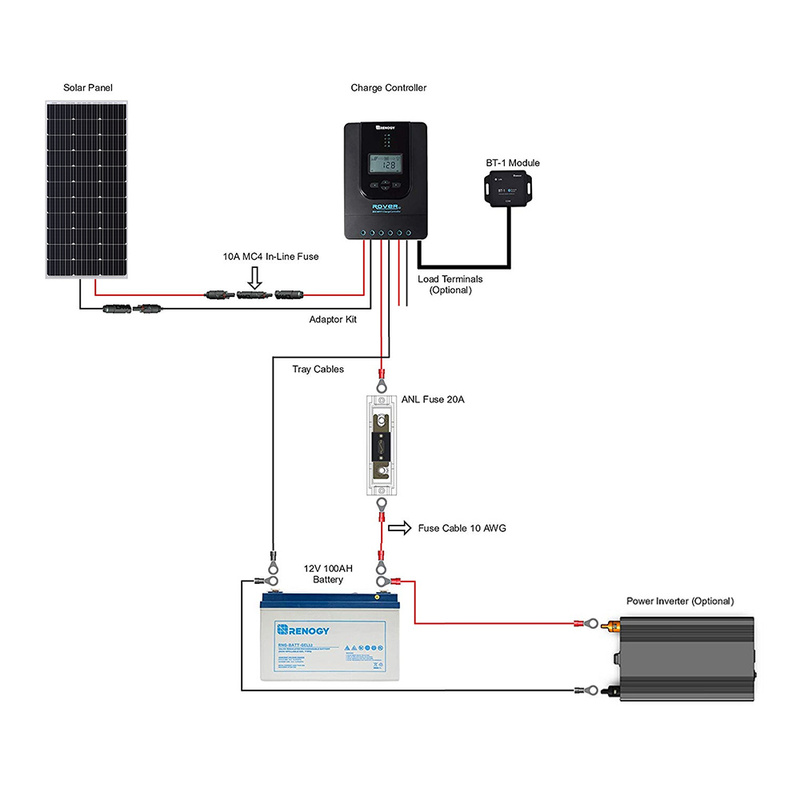 Take command of your power system with a Renogy Premium Solar Kit. If efficiency and reliability are high on your wish list, the Renogy 100W 12V Premium Kit is your choice. 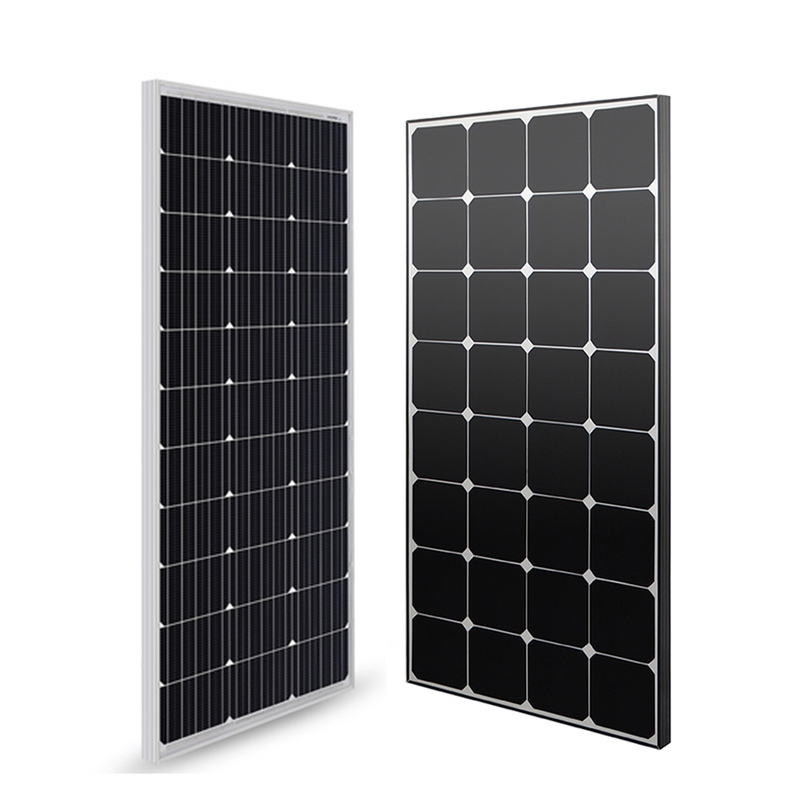 Includes the new 100W Eclipse/Mono Solar Panel which is not only sleek in size, weight, and color but are made of the highest efficiency solar cells that Renogy has to offer. The included Rover 20A MPPT Charge Controller features multiphase synchronous rectification and Maximum Power Point Tracking technologies, which increase charging efficiency. Our new Bluetooth module is also included which can be paired to the Renogy BT APP. 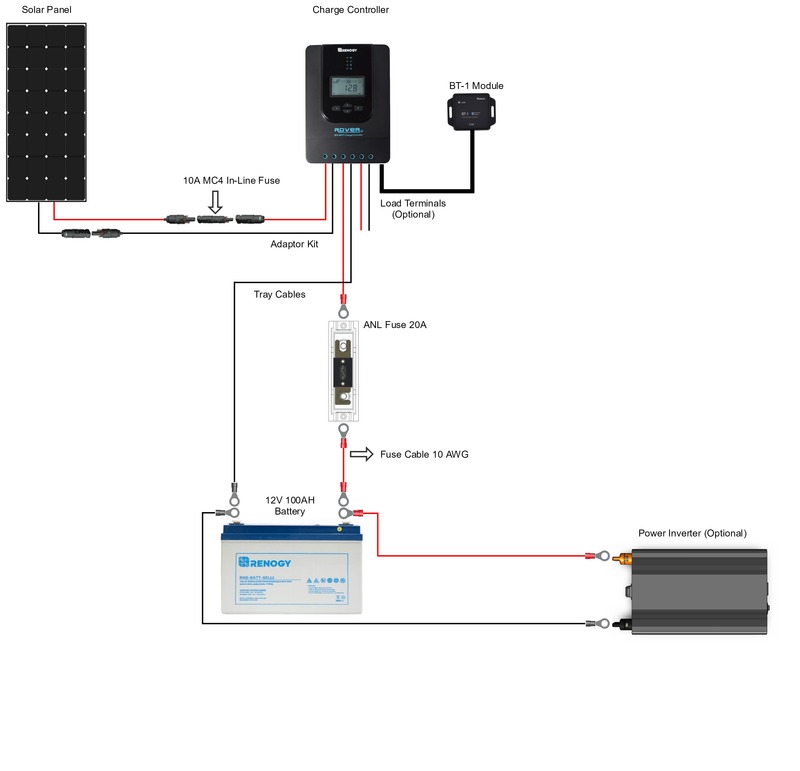 The Renogy BT APP allows users to remotely monitor and change their photovoltaic system's parameters with a few simple swipes on their smartphone or tablet. 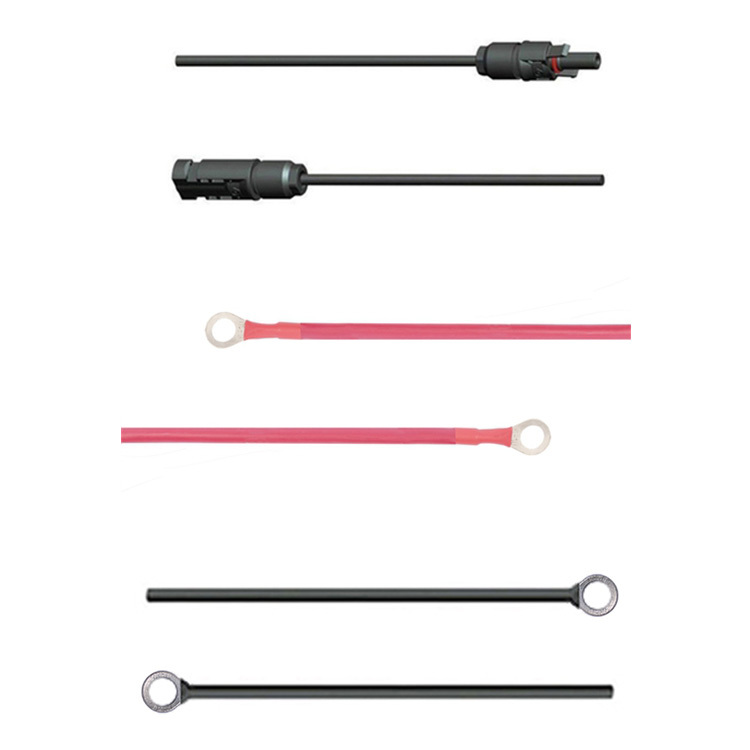 For convenience, this kit also consists of mounting Z-Brackets20ft 10AWG MC4 Adaptor Kit, one , one 8ft 10AWG Tray Cable, fusing components for your charge controller and battery. 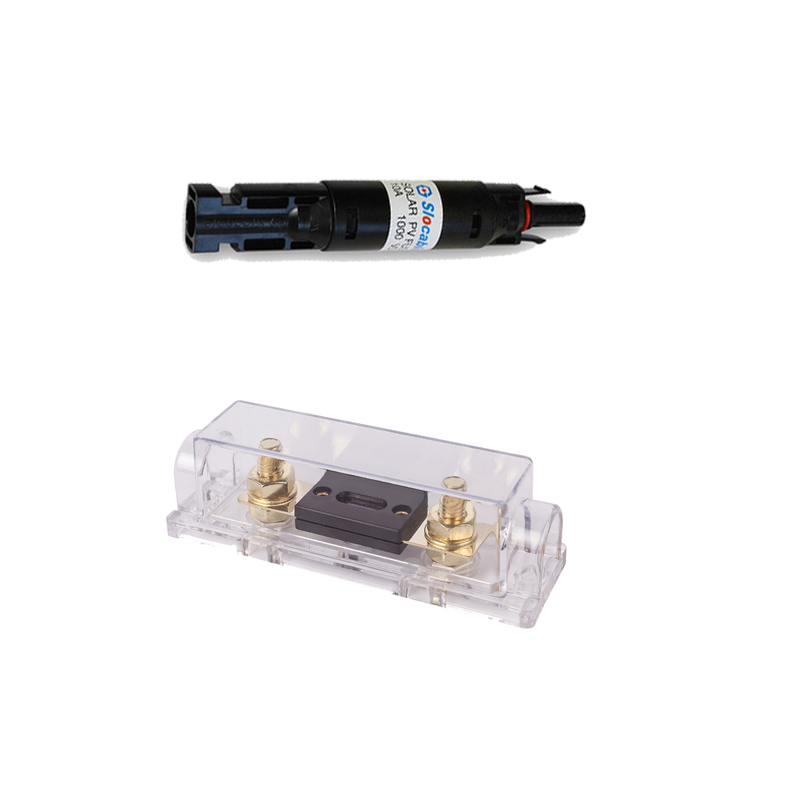 This Premium Kit is perfect for installation on an RV, boat, or camper. It can also be installed in a ground mount system next to an off-grid campsite.